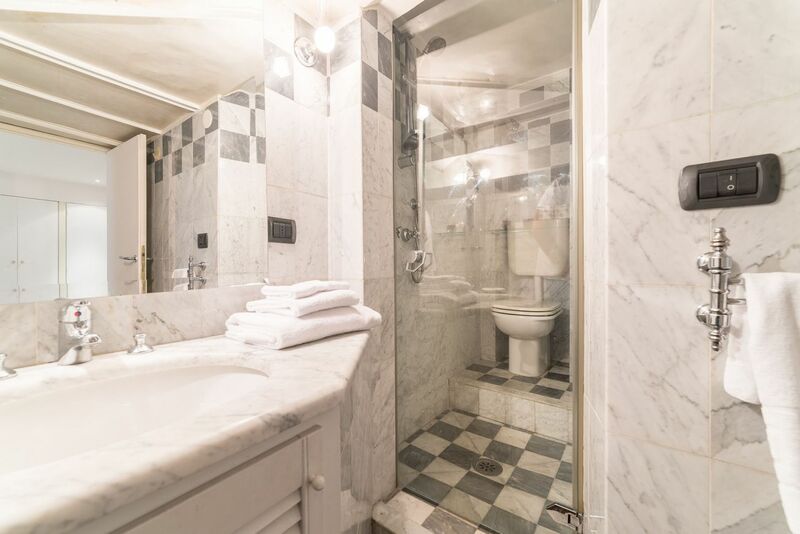 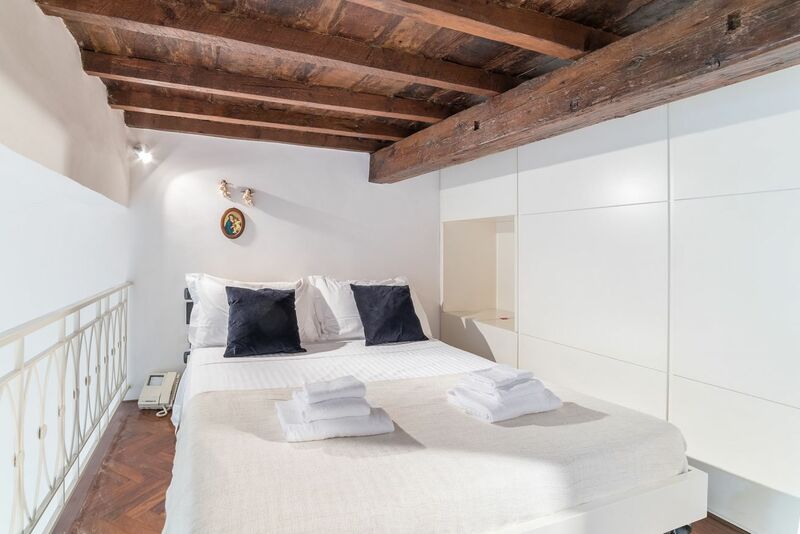 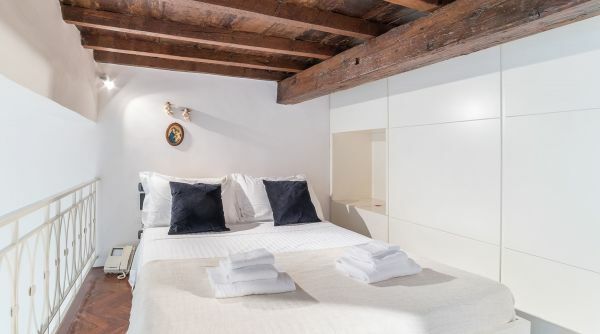 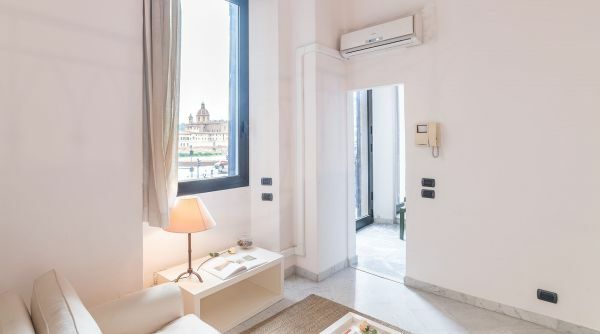 Romantic apartment with breathtaking panoramic view on the Arno River and on some of the city's most beautiful churches, in a perfect location to explore the city, just few steps from the famous and renowned Via de' Tornabuoni, the heart of Florentine high fashion and shopping. 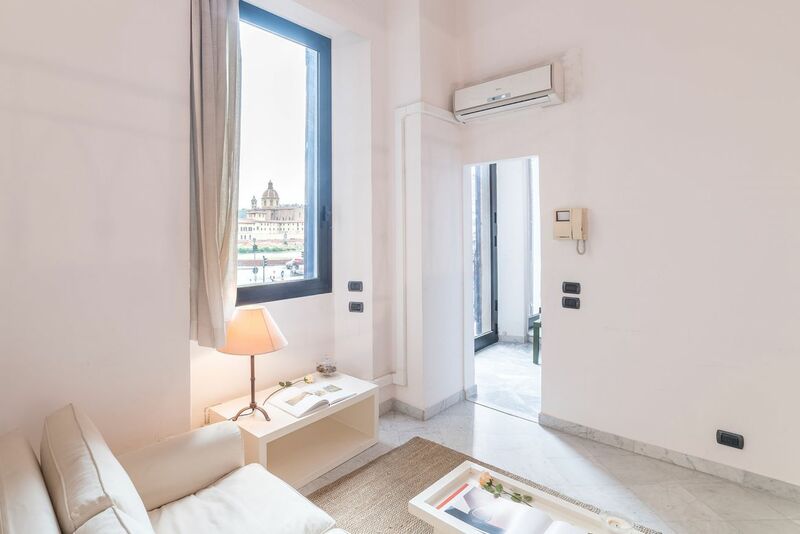 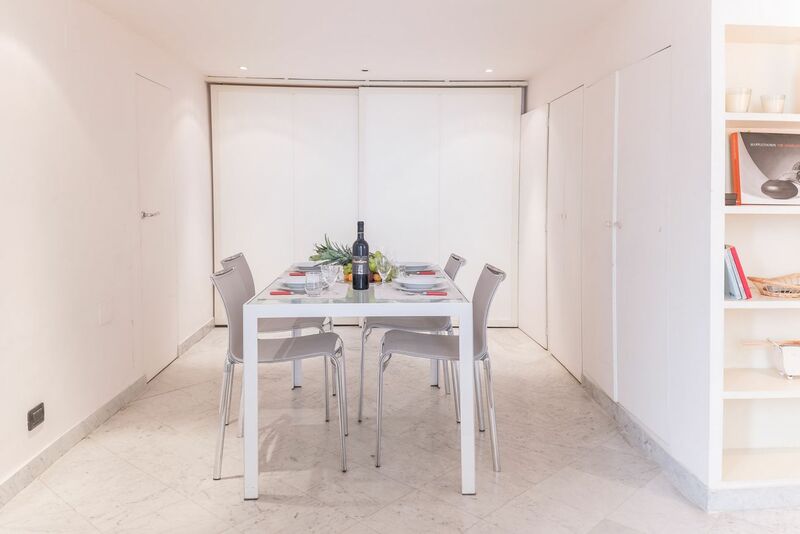 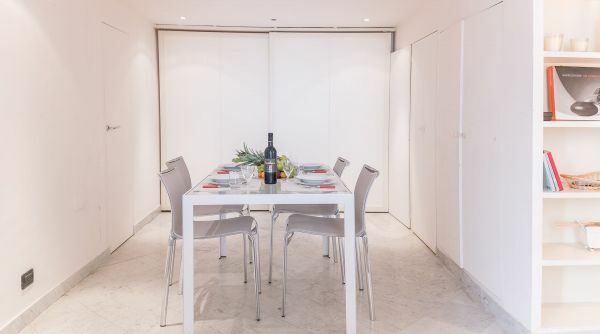 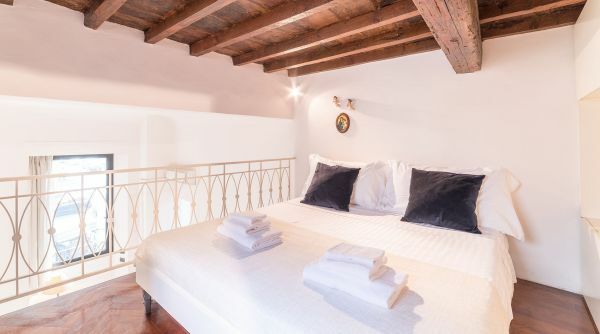 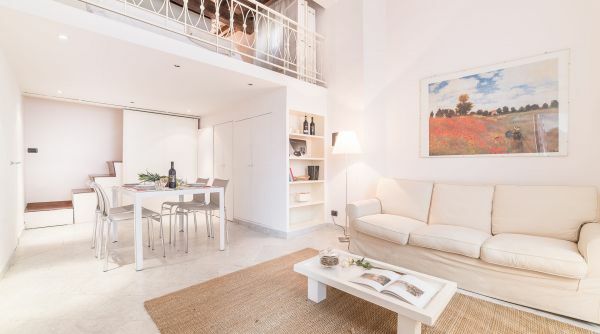 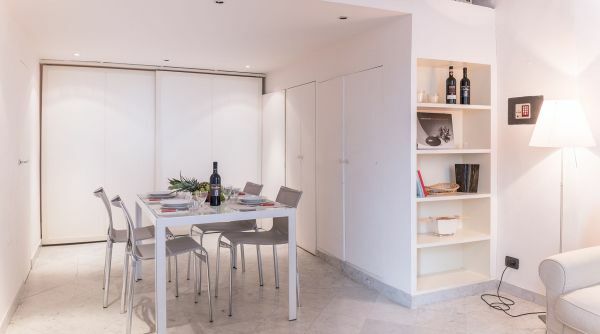 The apartment is located on the first floor without elevator of an ancient Renaissance palace and it can comfortably accommodate up to four guests: and ideal solution for a family or for a small group of friends. 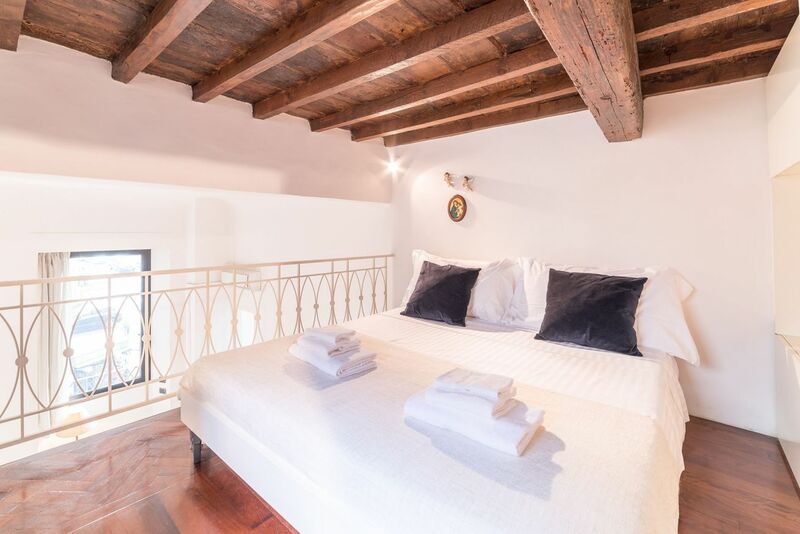 The House is beautifully decorated and retains some significant details such as the beautiful ceiling with wooden beams. 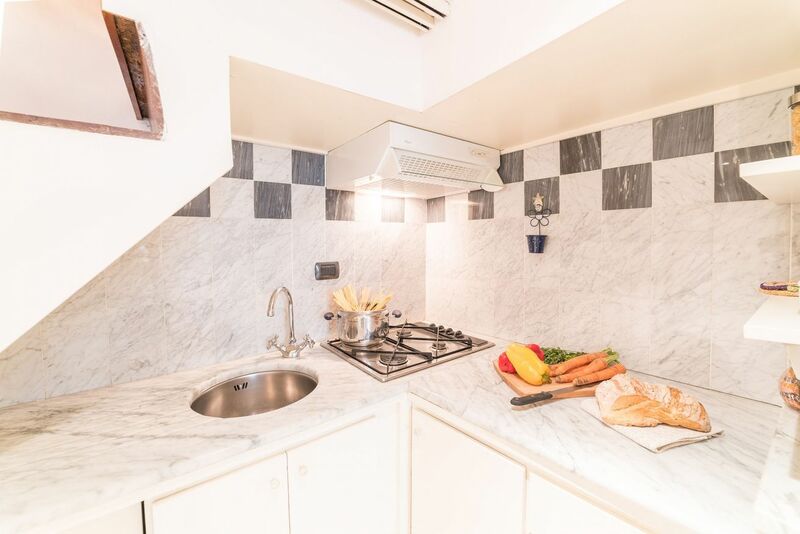 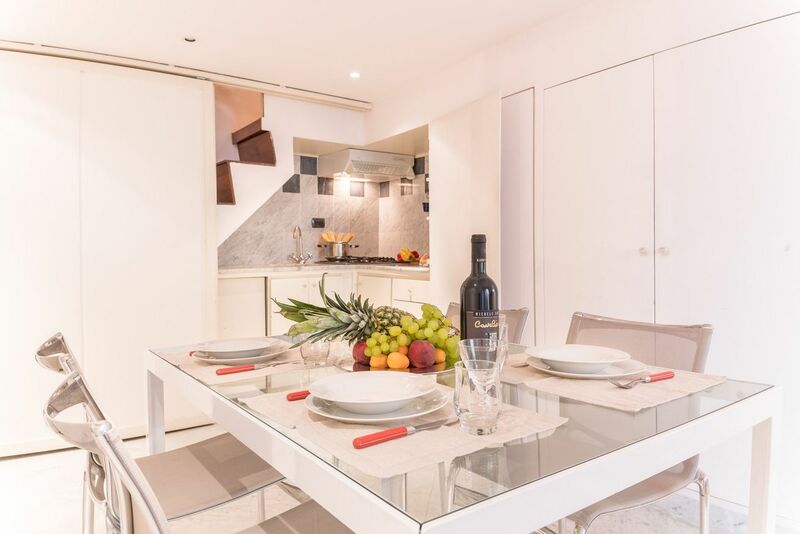 Bright and cozy, Lovely Goldoni View consists of a double bedroom, a well equipped kitchen, a bathroom with shower and wide common areas with dining room and a double sofa bed. 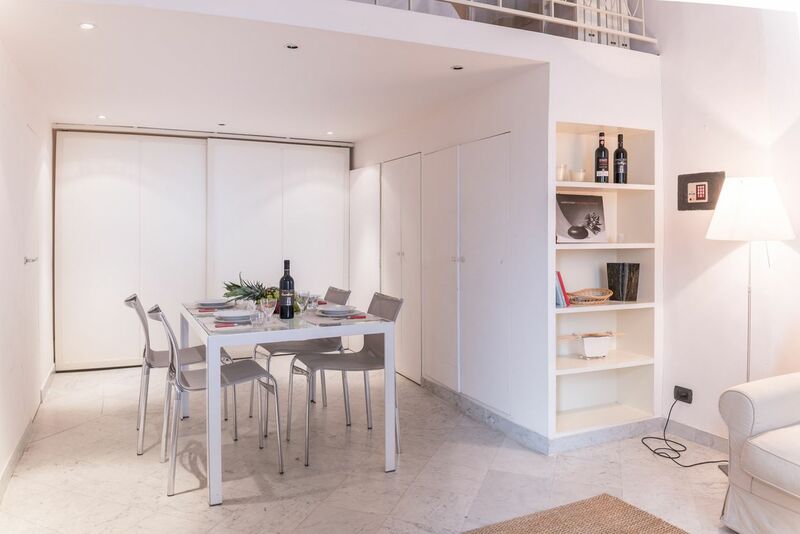 A fine apartment equipped with all necessary amenities as air conditioning and internet access wiht Wi-Fi. 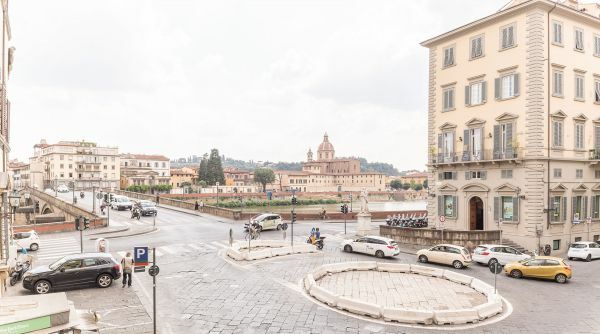 The apartment is located in piazza Goldoni, an elegan square overlooking the river Arno and in fact from the house you can enjoy a wonderful view on the river of Florence. 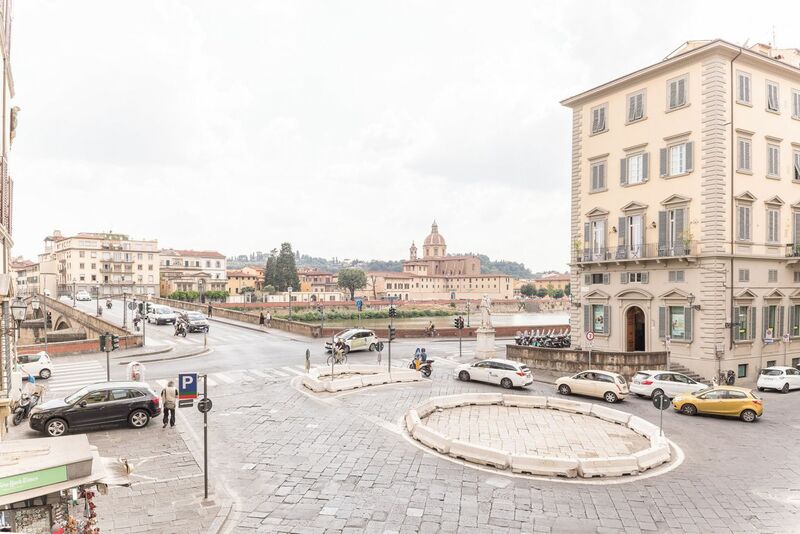 From here you can get to all the districts of the historical centre as Santo Spirito, Santa Croce and the area around the Duomo. 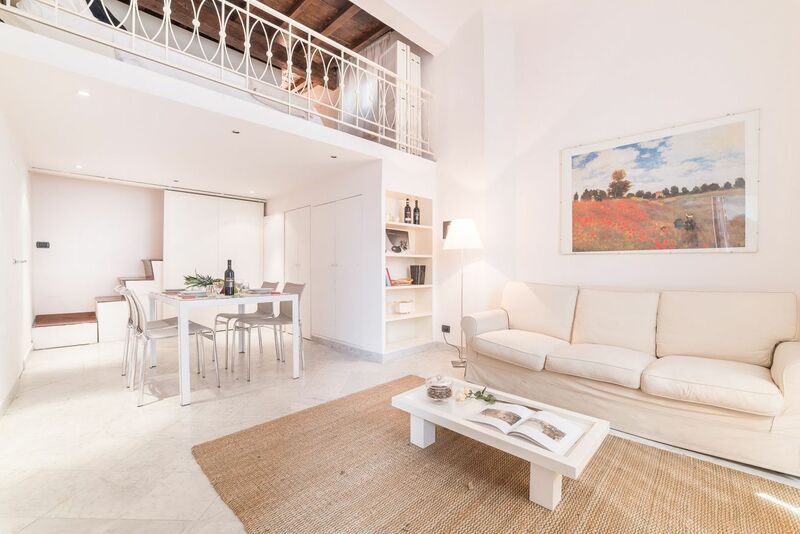 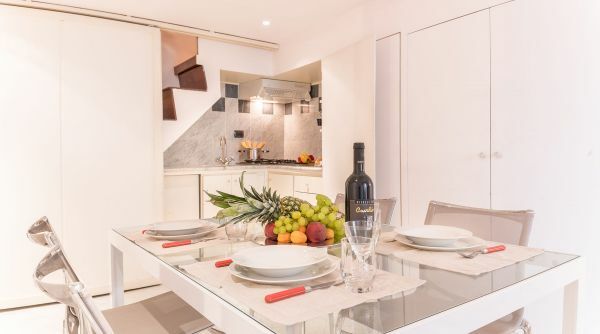 A further advantage of this location is its proximity to via de ' Tornabuoni, the shopping street where are the designer stores of fashion and luxury. 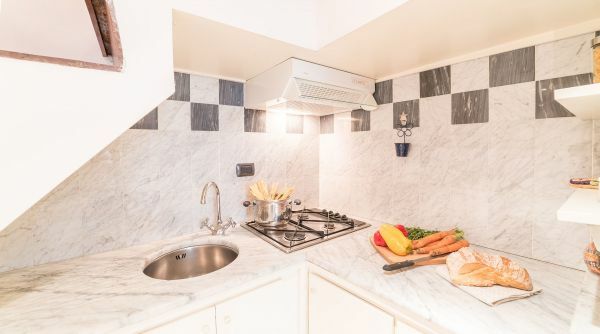 The apartment is only 800 metres far from the main train station of Florence, Santa Maria Novella, so you can easily get there walking. 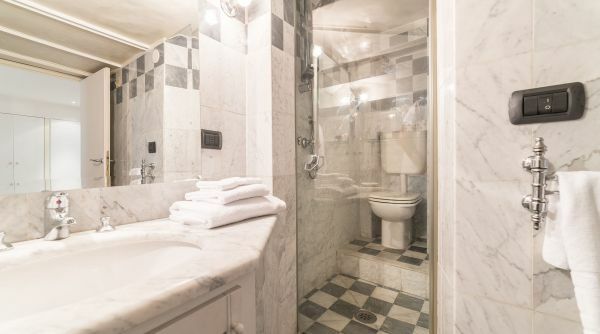 Alternatively, near this train station you can also get a cab to get to the apartment in few minutes.